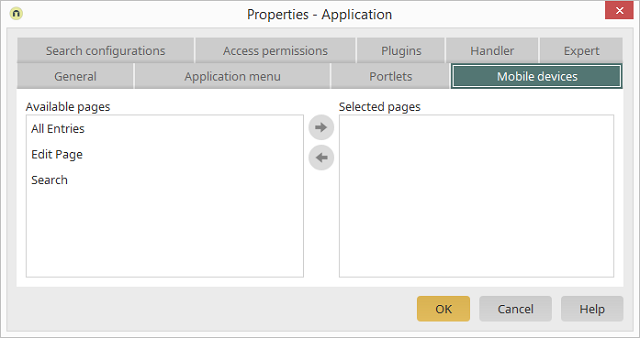 In this dialog you can define which pages will be transformed for mobile devices. All pages that are eligible for transformation are listed in this column. The setting "Transform for mobile devices" will be activated on all pages in this column. Move pages from one list to the other. When a page is moved to the "Selected pages" column, Intrexx checks whether the page is being used in a plugin. If this is the case, the page cannot be selected.